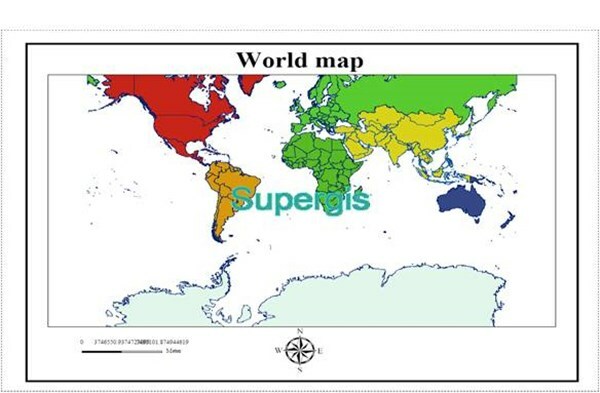 SuperGIS Server is designed for enabling organizations to create, manage, integrate, and publish various GIS services. 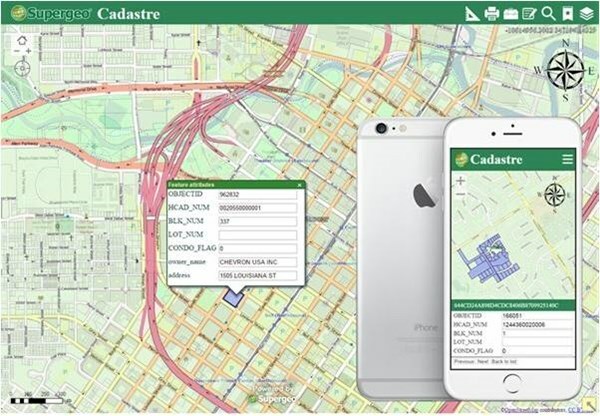 Through SuperGIS Server, spatial data and all types of GIS functions can be published as GIS services over the internet and used by PC, mobile devices, or web applications to assist enterprises in forming efficient workflows and improving decision-making. According to the requirement at different stages, companies can extend their server any time to build a more proper environment. 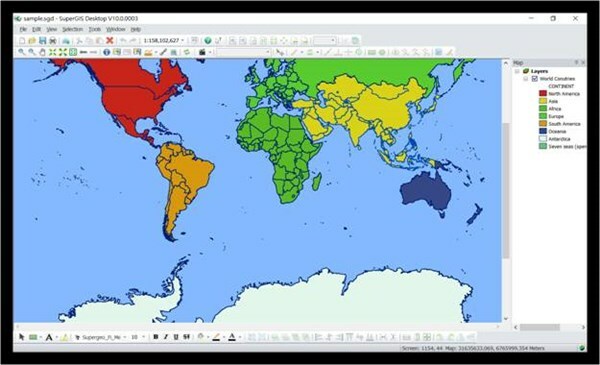 This article will introduce the new features in the latest SuperGIS Server. Because the latest SuperGIS Server provides a sample file, users can quickly test if the server is successfully set up. Also, the default map service makes users build up web applications and get familiar with the workflow of SuperGIS Server in a straightforward way. In the latest SuperGIS Server, users can decide whether to start the Map Cache Service and SuperGIS Container by SuperGIS Server Manager. You can even stop the services according to the loading of the computer. In SuperGIS Server, the working space is an appointed space to store map cache or related files created automatically. When the storage space of the working space is running out, users now can assign it to another folder by SuperGIS Server Manager. When it comes to the mechanism of backup, which is also a major concern of many users, SuperGIS Server has also made several changes. 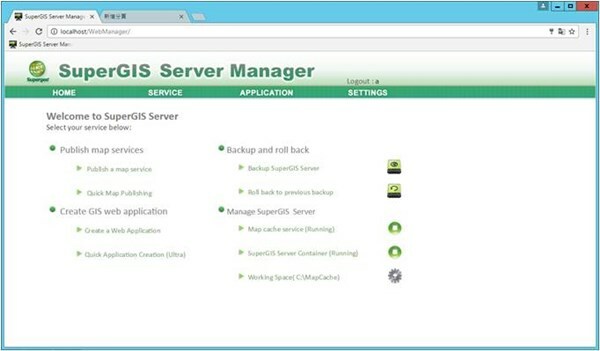 Administrators now can back up their SuperGIS Server and roll it back to the previous status. This design is to prevent service failures, account errors, and other problems due to human or machine errors. Regularly backing up your SuperGIS Server is recommended to provide more stable and satisfying map services. When configuring the cache setting to create a cached service, users can flexibly adjust the scale levels from the intuitive UI design. Also, you can customize the parameter names in geoprocessing to help users understand what they have input instantly! Moreover, users are able to delete websites and service data via SuperGIS Server Manager. No need to find the specified folder and remove the files under it, just manage services on the SuperGIS Server Manager. When creating the web application, users can use OpenStreetMap as the basemap when building web applications. Also, all web applications have an optimal Table of Content, allowing users to control the layers more intuitively. The Ultra website supports a new print tool so that users can easily print the map whenever they find something worthy to be noted. What’s more? The Ultra website supports the responsive web design, which can significantly enhance the user experience across different sizes of mobile devices. With the new design, users will definitely find it is more intuitive to interact with the web application. In addition to the front end, the workflow on the server side will also be improved and provide an even better user experience.